Leading Exporter of azithromycin dihydrate for pharmaceutical industry from Mumbai. 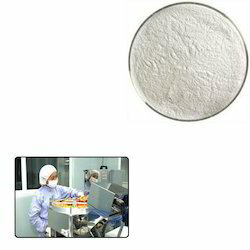 We are the leading supplier and trader of Azithromycin Dihydrate for Pharmaceutical Industry. The ingredients used in its processing are of premium grade and sourced from reliable vendors of the market. Moreover, these are available in market at reasonable prices. Looking for Azithromycin Dihydrate for Pharmaceutical Industry ?